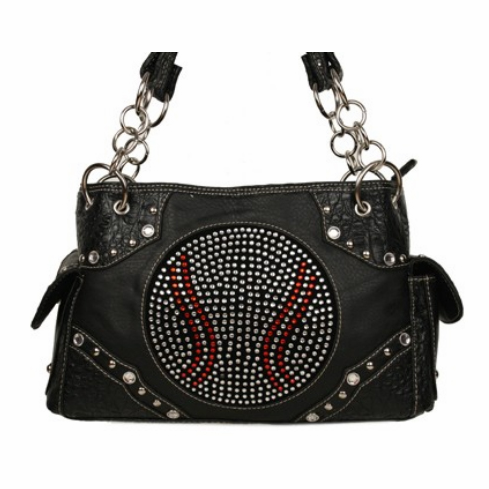 Women's Katydid Rhinestone Baseball Handbag / Purse. Black handbag with chain straps and metal feet. 1 zipper pocket outside with 2 side pouches. Zipper closure, multiple pockets inside. Measures appx. 13" x 9" x 5". Minor crystal imperfections are common.